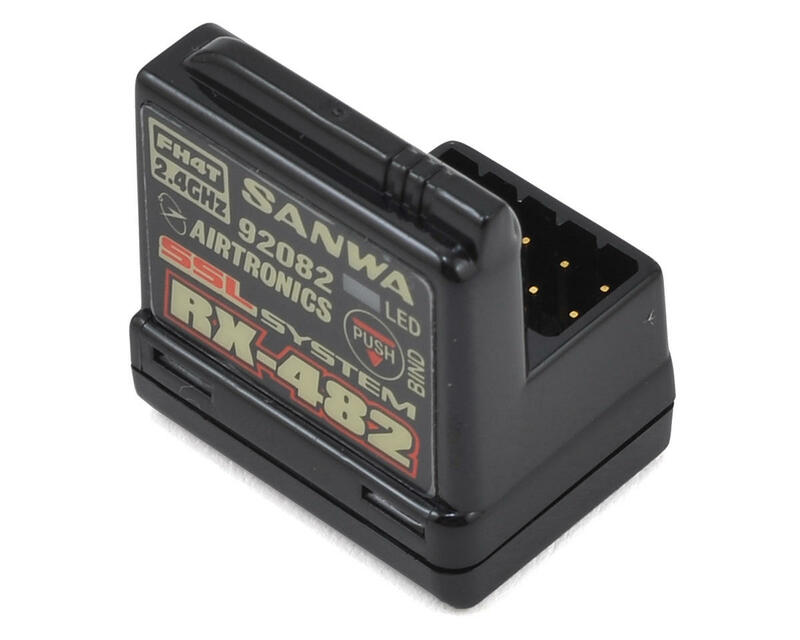 I have one of these I'm using with the Sanwa MT-44 (it was included). They are tiny*, fast, and work great. The footprint is very small however the receiver is pretty tall. 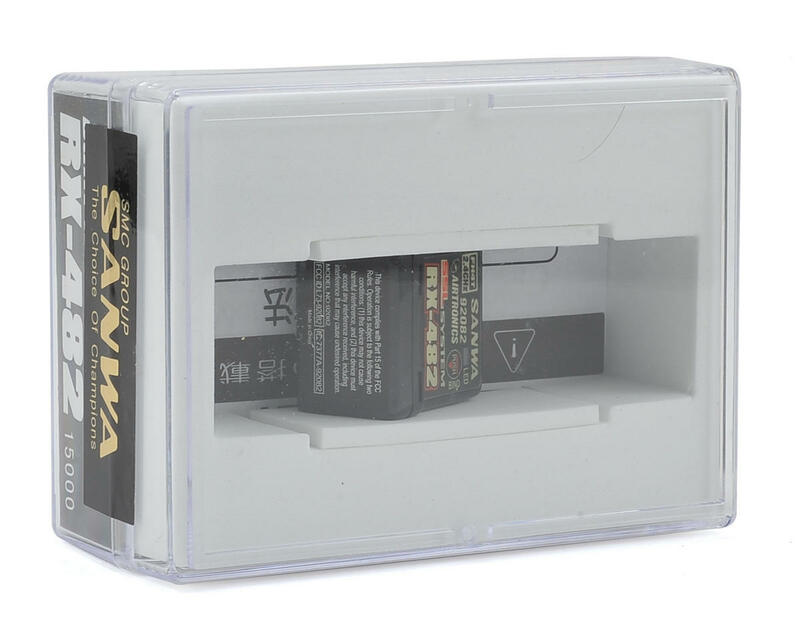 It fits great in my Yokomo YZ-2 buggy, but I could not fit it in my Associated RC8B3 (nitro) or RC8B3e (electric) receiver box with the top installed. I had someone tell me 'just lay it on its side' Do not do this! The antenna is designed to get reception in a vertical orientation. Not to mention you will be putting the antenna just a couple millimeters away from an aluminum or carbon fiber chassis, and you can get a lot of radio reflection. If you do this in a 1/8 vehicle you are asking for trouble. It may work, but do you want to chance someone's safety with a runaway vehicle? Just saying. I've heard it fits in other receiver boxes, just double check the inner dimensions before ordering. If you have a vehicle without a receiver box you this reciver is great. Top of the line equipment, clean no antenna wire to mess with. To the guy that put a 3 star, next time check the specs of the item. It will tell you the dimensions so you can check your vehicle for proper fitment beforehand. Will this work in a associated 1/10 scale sc truck? I have one that works great and fits in my RC8.2E reciever box. A little bit on the pricey side but works well and not having the antena is nice. This receiver was too tall to mount in my RC8B3 receiver tray. I had to return it.